MAGICMA - Magic Number to identify orders opened by the Expert Adviser. 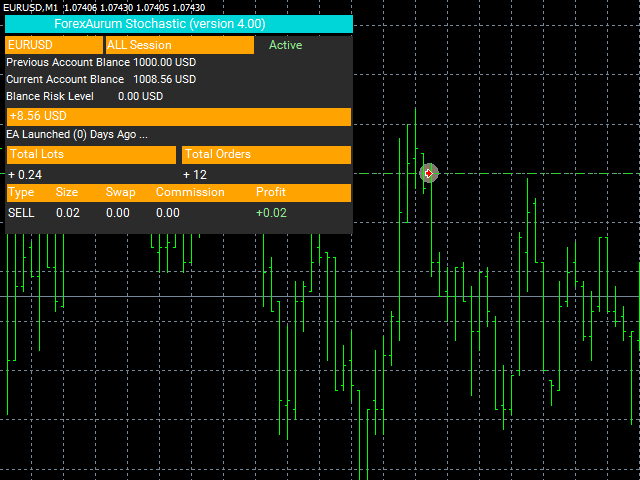 Trading Session - Select your preferred trading session values [ALL, LONDON, NEW YORK, TOKYO, SYDNEY]. Lost Size - 0.01 by default (NB since we use Martingale it's not recommended to increase). 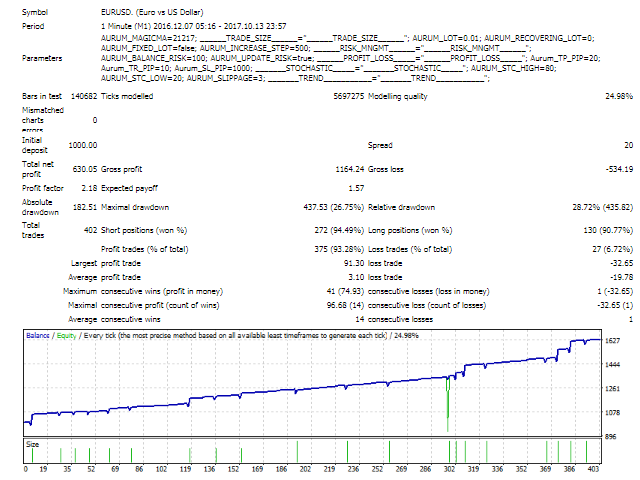 Recovering Lot - Lot used when the profit of the last trade is negative (0 means Automatic Recovery Size Calculation). Fixed Lot - select false to increase the lot size automatically depending on the Money Increasing Step. The size of the Order will be 0.01 * 10000 / 1000 so the EA will open 0.1 lots. Balance Risk (%) - the percentage of the balance to risk (100% if you have a small account). Update Balance Risk - Making the risk sliding with account balance. Take Profit (Points) - Take profit in points. Trailing Stop (Points) - Trailing stop in points, if you don't want trailing stop make it 0. Stop Loss (Points) - Stop loss in points. Stochastic High Rate (%) - 80% by default. Stochastic Low Rate (%) - 20% by default. Stochastic Time Period - current by default. Trend Time Period - H4 by default.